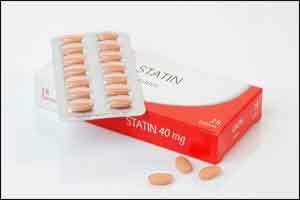 Statins are well established therapies for the primary and secondary prevention of cardiovascular disease (CVD). They have also been found to have pleiotropic effects that modulate coagulation and inflammation. In recent years, there has been emerging interest in the potential role of statins for the reduction of venous thromboembolism (both deep vein thrombosis [DVT] and pulmonary embolism [PE]). Kunutsor and colleagues conducted a systematic review and meta-analysis of observational cohort studies to determine the association between statin use and risk of recurrent VTE. Eight eligible studies comprising 103,576 participants and 13,168 recurrent VTE outcomes were found to be eligible for analysis; there were no randomized controlled trials identified. Seven studies reported on recurrent VTE, 2 on recurrent DVT, 3 on recurrent PE and 2 on all 3 outcomes. In a pooled analysis of the 7 studies that reported on recurrent VTE, the relative risk was 0.73 (p<0.05) when comparing statin use with no use, with no evidence of heterogeneity (p=0.93). For recurrent PE and DVT, the RRs were 0.75 and 0.66, respectively, comparing statin use with no statin use (both p<0.05). The investigators concluded that the available evidence, which is observational in nature, suggests a beneficial effect of statin use on VTE recurrence. It is too early to make any guideline recommendations, said the authors, and well-designed intervention studies are needed to corroborate these findings.